Why WorkFaith Birmingham? Our mission is to empower adults facing employment barriers with the skills, competencies, and ethics they need to enjoy transformed lives through work and faith. WorkFaith Birmingham is addressing three primary problems in the city of Birmingham. Problem #1: There are thousands of adults every year leaving transitional ministries, jails, and prisons in the Birmingham area. Many of them lack the support they need to obtain and retain employment. As a result, they often return to negative relationships, a life of crime, a life of self-medication, or a life of dependency on the government and others in order to survive. Problem #2: Many adults living in low-income and public housing communities of our city also lack the job search skills, ethics, values, and support they need to become gainfully employed with a sustainable income. Many dropped out of school or full-time employment at some point due to a life situation or challenge and now desire to move into employment, but they lack a clear path forward to reach their destination. They face many hurdles to become employed and often give up their job search feeling that it is a hopeless ambition for them. Problem #3: There are several organizations in the city that provide short-term workforce preparation for developing basic job search skills. They generally focus on resume development, basic interviewing principles, and potential job leads. There are longer programs like AIDT’s Ready To Work program that have several days of classes, certification programs, and skill development in order to increase job search success. These programs work well with self-motivated and educated adults, but many urban adults lack the necessary soft skills and educational skills that are required to succeed with them. WorkFaith Birmingham seeks to help address the complicated life issues of adults in transition by empowering them with the skills, support, values, avenues, and life perspectives they need to gain and maintain employment, and become productive contributors to their families, churches, and communities. Our 60 Hour Workshop teaches 12 Core Competencies in the Creative Job Search approach that has been used successfully with over 3,000 adults in Houston and Birmingham. Every participant learns how to correctly fill out applications, create a resume based on their work history and their skills and abilities, tell their story in 30 seconds, speak honestly and ethically about their past, develop a network of support for their job search, identify potential employers, research potential employers, and much more. 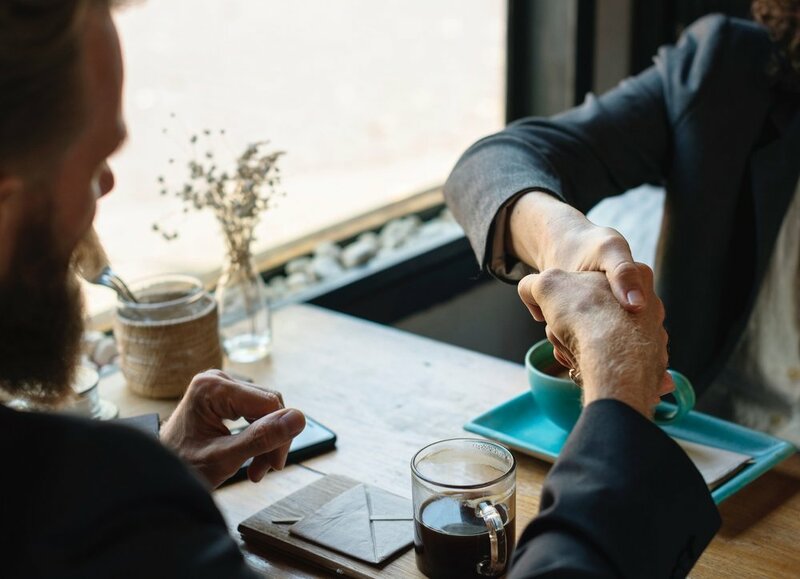 Every participant participates in mock interviews and observes other mock interviews so they can be prepared with confidence when they go to job interviews. At our workshop we also seek to equip participants with the ethics and values they will need to retain employment and obtain careers. We incorporate 25 Core Values into our curriculum that includes things like punctuality, workplace safety, honesty, respect, forgiveness, teamwork, problem-solving, and personal responsibility so our graduates will be prepared to face the many challenges associated with work. Since WorkFaith Birmingham is a Christian ministry, we also teach a Biblical worldview about life, work, ethics and values, and how work fits into God’s overall good design and purpose for our lives. We do not coerce anyone to become a Christian and you do not have to be a Christian to participate in our program, but we do believe individuals with Christian ethics and values will become employees that any employer would desire to hire. We do present the gospel clearly to each class. We also seek to provide a volunteer Encourager to graduates as needed from the Christian community across the city. Encouragers are friends who meet with a graduate twice a month to encourage them through their job search and work related issues, provide godly counsel as they work through life’s problems, provide prayer support for them as they move forward to fulfill God’s Good Design and Purposes for them, and encourage local church participation. After graduation, our Pathway To Success Coach meets with and coaches our graduates throughout their job search flooding them with job leads so they can work the creative job search process that they have learned in our workshop. So far, by God’s Grace, over 80 % of our graduates have obtained employment and continue employment after one year. Also, even though over 50% of our graduates have criminal convictions in their backgrounds. We have less than 2% recidivism rate of any of them returning to prison so far.